Last weekend we had our annual Purlygirl retreat to Fort Worden. Several people had expressed interest in seeing me warp my loom (10" Cricket). 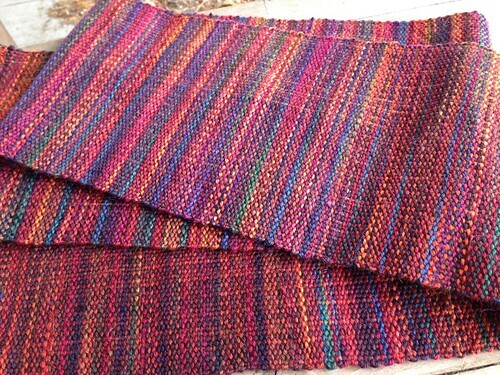 I threw together this scarf using more mill ends of Mountain Colors Bearfoot. The last time I alternated skeins in the warp every two threads. This time I just warped with a mini-skein until I ran out. 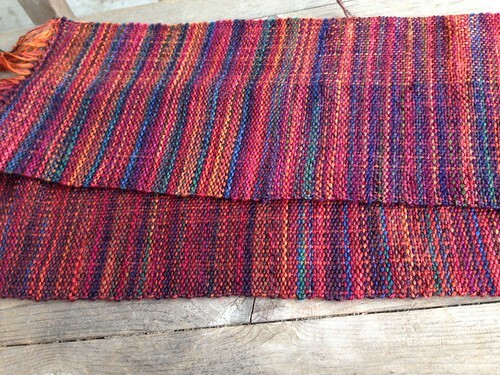 The result is that one half of the scarf looks darker than the other. I haven't finished the fringe or washed it yet.